Exterior Portfolio has nothing but good sides. The hardest part of choosing Exterior Portfolio® Vinyl Siding? Choosing just one color and profile. 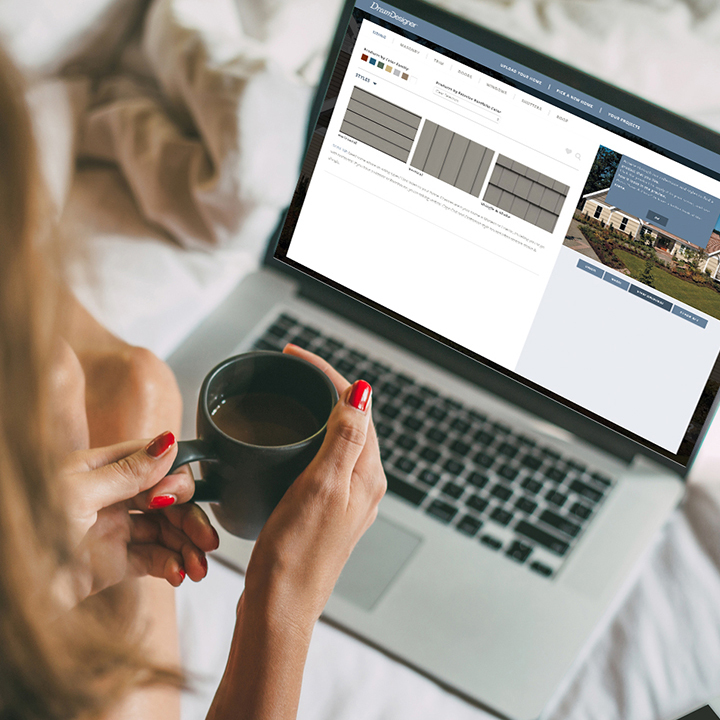 Enter our Dream Designer® tool, which allows you to virtually demo all of your options, each with the power to transform "a house" to "your home." Preview all of our siding collections below, and wait for inspiration to strike. Top performance and innovative thermal technology meet in the same beautiful, durable, insulated siding. Forget ordinary: Portsmouth™ Shake & Shingles comes in a full range of evocative profiles and a broad palette of richly realized colors. Premium Pointe® Siding adds more curb appeal and displays fewer seams with board lengths up to 16 feet. The only thing more apparent than the charm Board & Batten offers is its knack for boosting curb appeal. A generous palette of rich, dark colors and three distinct profiles give Market Square® virtually unlimited exterior design possibilities. As alluring as it is tough, Carolina Sands features a painted woodlike finish, elegant beaded design and a wider profile edge for an architecturally correct classic look but without the need to paint. A smartly engineered rollover nailing hem that results in exceptional wind resistance and a curb-appealing color palette: just two virtues of Parkview® Siding. Elm Grove™ Siding is as charming as it is hardworking—with looks that effortlessly display curb appeal and a partial rollover nailing hem that increases durability and wind resistance. No matter which siding you choose, you’ll soon find yourself in awe of the unassuming yet powerful presence it lends. Every color has a mate or two. Before you leap, it's okay to look.